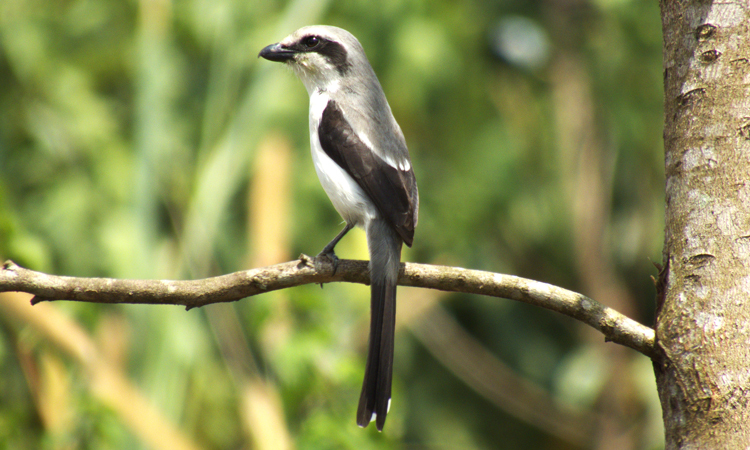 So far, 339 species of birds have been recorded, but more species are likely to be added. The park has the Green-breasted Pitta as the most sought-after species along with others; Chubb’s Cisticola, Black-capped Waxbill, Africa Shrike-flycatcher, African Black-headed Oriole, African Emerald Cuckoo, African Green-pigeon, Black-crowned Tchagra, African Wood Owl, African/Rwenzori/Abyssinian Hill-Babbler, Alpine Swift, Ashy Flycatcher, Barn Swallow, Black Bee-eater, Black Cuckoo, Black Cuckoo-shrike, Black-and-white Casqued Hornbill, Black-and-white Mannikin, Black-and-white Shrike-flycatcher, Black-billed Turaco, Black-billed Weaver, Black-faced Rufous Warbler, African Dusky Flycatcher, Black-headed Weaver, Black-necked Weaver, African Citril (Western Citril), Black-throated Apalis, Blue-shouldered Robin-chat, Blue-throated Brown Sunbird, Blue-throated Roller, African Blue Flycatcher, Bocage’ Bush-shrike, Bronze Mannikin, Zebra Waxbill, Bronze Sunbird, Brown Illadopsis, Brown-capped Weaver, Brown-chested Alethe, Brown-eared Woodpecker, Brown-headed Tchagra, African-pied Wagtail, Cameroon Sombre Greenbul, Brown-throated Wattle-eye, Yellow-billed Barbet, Afep Pigeon, name it. 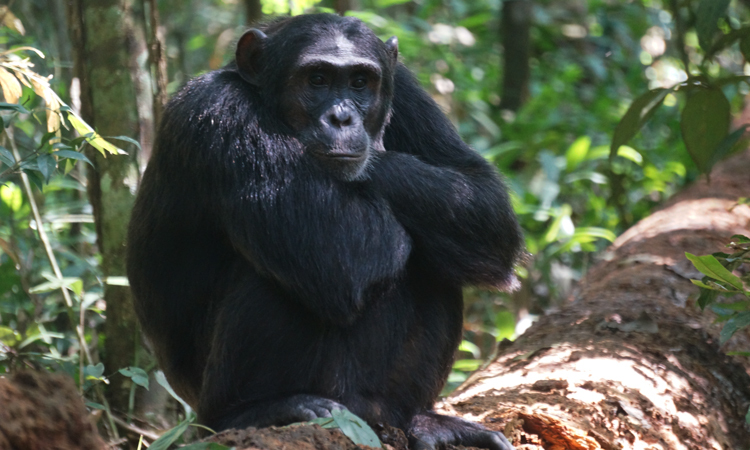 As the most accessible of Uganda’s major rainforests, Kibale has a well-established Chimpanzee-tracking program with a high success rate. 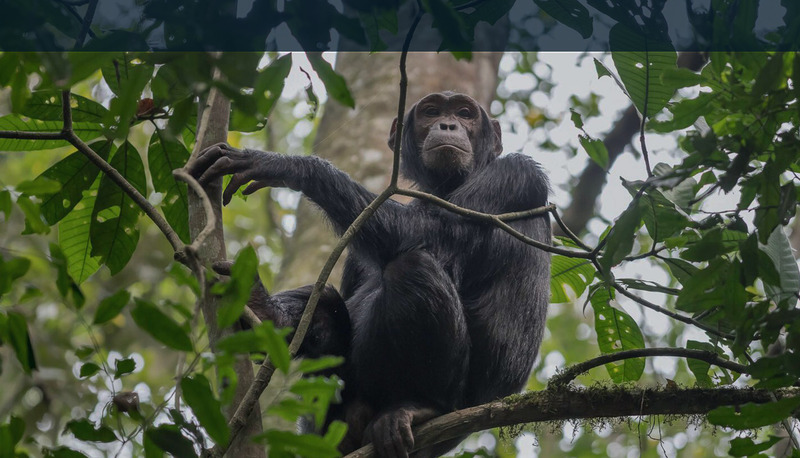 Other primates that may be found on the guided walks include Guereza Colobus, Olive Baboon, Grey-cheeked Mangabey, L’Hoest’s and Red-tailed Monkeys are more likely to be found in open areas adjacent to the forest. You may find evidence of Elephants, Bush Pigs, and Buffaloes along the trails, whilst Bushbuck, Blue, Harvey’s and Peter’s Duikers are other shy inhabitants of the forest interior. The guided night walks are also rewarding: Potto, Bush Babies- Spectacled Demidoff’s and Thomas’s Galagos, Lord Derby’s Anomalure, African Civet, Kibale African Golden Cat, Common Genet are all possible. Other interesting mammals from the list of over 60 species include Ichneumon, Banded and Marsh Mongooses, Alexander’s Cusimanse, Swamp Otter, Ratel (Honey Badger) and African Palm Civet. Although Golden Cat, Serval Cat, Lion, Leopard, Warthog, Giant Hog and Hippopotamus are recorded from the park, they are unlikely to be encountered in the Kanyanchu area. 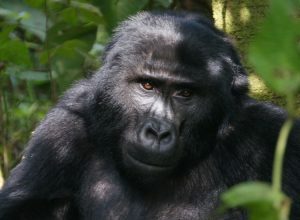 Sitatungas are known from Bigodi Swamp but are infrequently seen. The spectacular and beautiful Rhinoceros Viper is fairly common here but is, unfortunately, less often found alive than as a road-kill. Community- based eco-tourism has been developed here, an array of native plants, animal’s foods, medicines and plant products are found here. The canopy rings with bird calls. Tree species like wild rubber trees, polita figs, and candelabra euphorbia are common here. 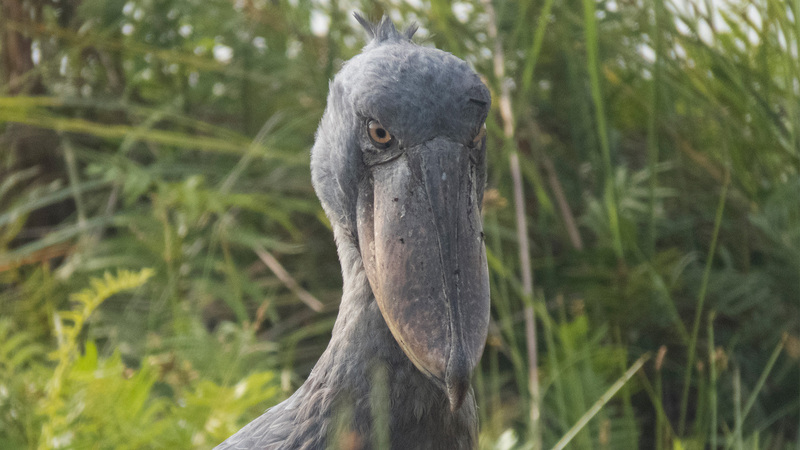 Nature walks through the Bigodi swamp where a number of birds can be seen on the trail as well as conservation projects is also another activity in Kibale National Park.